Halfdan Ragnarsson was the son of the legendary Viking leader, Ragnar Lodbrok and Aslaug Sigurdsdottir and the brother of 'Ivarr inn beinlausi' or Ivar the Boneless. He was one of the leaders of the Great Heathen Army which invaded England in 865 and fought against King Alfred the Great. The invasion was led by the sons of Ragnar Lodbrok, to seek revenge against King Ælla of Northumbria who, in 865, had killed their father by having him thrown alive into a pit of vipers. The Viking sagas relate that his sons Ivar the Boneless and Ubbe swore to avenge him. It is said that when the sons of Ragnar heard news of how their father had met his death, Halfdan, who was playing chess gripped the piece so hard that blood issued from his finger nails. Accompanied by his brothers Ivarr and Ubbe, Halfdan Ragnarsson crossed the North Sea to England and led what the Anglo-Saxon Chronicle referred to as the Great Heathen Army (mycel hæþen) in the invasion of East Anglia in 865. He unfurled the Viking Raven banner in East Anglia, according to legend, it was woven by three of the daughters of Ragnar Lodbrok. The East Anglians made peace with the invaders and provided them with horses. The following year the Great Heathen Army travelled along the old Roman road to Northumbria, at that time the kingdom of Northjumbria was in a state of civil war, and in late in 866 the Viking army captured York. King Ælla aided by his former rival for the throne, Osberht, attempted to retake the city and on 21st March 867 they stormed the city walls and gained entry. The Vikings managed to rally and slew all who had entered York, and routed those who remained outside. Osberht was killed in battle and Ælla was taken captive. The Norse saga's relate he was executed according to the gruesome Viking blood eagle rite, which consisted of opening the ribcage from behind, extracting the lungs, forming a wing-like shape. The Vikings then installed a puppet-king, Ecgberht, on the Northumbrian throne, who served as a tax collector for them, before moving south to invade Mercia, were they took Nottingham. Burghred, king of Mercia appealed for aid from Æthelred of Wessex. Æthelred and his younger brother Alfred besieged Nottingham in an attempt to retake it. The heavily outnumbered Vikings , however, refused to fight. The Anglo- Saxons could not maintain an army in the field for an indefinite time, and the stand off resulted in King Burgred buying off the Danes who agreed to leave, in the autumn of 868. The Vikings then withdrew to York where they remained for over a year before returning to East Anglia in 869. They captured the town of Thetford, in East Anglia, intending to spend the winter there, however the East Anglians raised an army and advanced against them. The Great Heathen Army was again victorious and King Edmund of East Anglia was killed. Edmund was captured and brutally executed at the village of Hoxne. Viking religious beliefs encouraged cruelty towards the followers of the 'White Christ' who they saw as cowards. Edmund bravely refused to become the vassal of a heathen or renounce his religion, declaring that his religion was dearer to him than his life, he was beaten with clubs as he called upon the name of Jesus and was then tied to a tree, where the Vikings shot arrows into him until he died, they then beheaded him. They left Edmund's corpse unburied and his head was thrown into deep brambles. Monasteries were raised to the ground, monks slaughtered and plundering took place on a massive scale. The conquest of East Anglia achieved, Ivar the Boneless left the Great Heathen Army, leaving Halfdan as the main commander. The Viking Army set up camp at Reading, a large raiding party was defeated by the Saxon ealdorman Æthelwulf at Englefield. Only four days after this the Danes defeated Æthelred and Alfred outside the gates of Reading. Æthelred and Alfred won a victory at the bitter and bloody pitched Battle of Ashdown, at a spot known to the Saxons as Nachededorne or the naked thorn, where Æthelred spent so long praying before the battle began that Afred grew impatient and commenced fighting before him. The Danes later defeated the Saxons at Basing, and at Meretun. Halfdan's forces were swelled with the arrival of reinforcements in the form of the Great Summer Army under the command of Bagsecg. The Saxon victory however, was to prove short lived and brought no permanent advantage and the conflict continued, but two weeks later the Viking invaders descended again, skirmishing continued and an inconclusive battle was fought at Basing. Ethelred, supported loyally by his brother Alfred, refused to surrender. The raven banner of the Vikings and the dragon of Wessex were hoisted again at Meredune, which is believed to have been either Marden, near Devizes or Martin in Hampshire. In the furious conflict that ensued, the Danes emerged the victors and Æthelred met his death, whether in battle, or as a result of wounds suffered in battle is unclear. He is reported to have died on 15 April 871 and Alfred succeeded his brother as king. The Vikings then defeated King Alfred at Wilton. The Anglo-Saxons finally made peace and paid the Vikings to leave. The Vikings retreated to London and remained there throughout the winter of 871/872. In the autumn of 872 they returned to Northumbria to put down a rebellion against the puppet king King Ecgberht. They spent the winter at Torksey, in the Kingdom of Lindsey, which is now part of Lincolnshire, before advancing to Repton the following year where a further pitched battle was fought around 873. 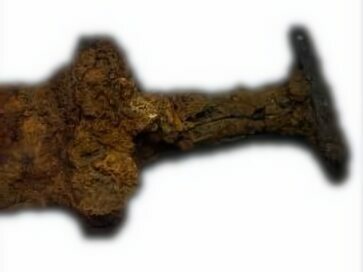 After the discovery of the the body of a Viking warrior in the churchyard at Repton, archaeologists unearthed the remains of at least 250 Viking casualties of the battle, many of which displayed evidence of gruesome injuries. Nearby, in Ingleby, further evidence of the Great Army's presence has been found by archaeologists. The kingdom of Mercia was conquered in 874 and King Burghred was replaced by a puppet king, Ceolwulf. The Viking Army then divided in two, with one half under Guthrum marching south to continue the struggle with Wessex, while the other half commanded by Halfdan advanced north against the Picts and Britons of Strathclyde. He then settled an area which largely covered the area of Deira. Halfdan is sometimes referred to as King of Jórvík from 876. On the death of Olaf the White, king of Dublin, in 871, Halfdan's brother Ivar the Boneless left for Ireland where he made himself King of Dublin. On Ivar's death Olaf's son Eystein took the throne. Halfdan campaigned to recover Dublin in 877. Eystein had the support of a strong ally, Aed Finnlaith King of the northern Ui Neill. 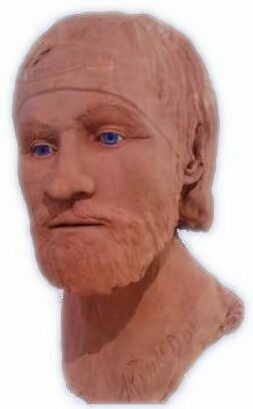 On learning of this this Halfdan sailed north along the coast of Ireland but was forced to give battle at Strangford Loch in County Down, where he was defeated and killed.